When former Spokane Police Chief Frank Straub was forced out in September, Mayor David Condon announced that he would be spending the remaining three months of his contract working on “criminal justice initiatives” in the City Attorney’s Office. In those three months, he's produced about five pages of original work, a portion of which he spent critiquing the culture of the department that he chose not to audit. To be fair, though he was refused access to his department issued computer, which would have allowed him to add more depth to his research, he writes in his memos to the city. Straub was assigned a literature review for a law enforcement-based diversion program, designed to keep low-level offenders out of jail. He was also asked to produce reports on Spokane's community policing initiatives and how to keep them going as well as a "study and recommendation plan for downtown policing and security, including an outlined and detailed strategy for implementation in Spokane." Straub has since turned in three reports detailing diversion programs throughout the country, which he did not write, but did review given the occasional bracketing, underlining and an annotation in the margins. He also penned two memos: one on diversion, the other on community policing. Those two documents make up the “lion’s share” of his assigned work, city spokesman Brian Coddington told the Spokesman-Review. Totaling 1,859 words, that amounts to $22 a word, according to the Spokesman’s calculations. Straub was then, and still is, the highest paid person under the city’s employ. He will make $179,484 by the end of this year. Break it down for the final 14 weeks of his contract (his last day on the city’s payroll is Jan. 1, according to the city’s original announcement) and it comes out to $48,314. That’s $8,222 more than the median household income in the city ($40,092) and $919 less than the median household income for Spokane County ($49,233) for about three months of work. "I wonder how many years of community policing programs we could have funded with the amount he was paid to produce these documents," says Scott Richter, one of the five ombudsman commissioners. "It just kind of has that look that it was whipped together at the last minute. It's certainly not in depth." His recent depiction of the police department’s internal culture stands in stark contrast to his testimony this past February in front of the Use of Force Commission. It was during Straub's and Condon’s final report to commissioners that chairman Earl Martin asked if the chief had a grasp on the department’s formal and informal culture, alliances and systems of influence and motivation — the kind of insight the commission aimed to gather with a proposed culture audit. Back then, Straub confidently reported that he did in fact have extensive knowledge of the internal culture of the department, and everything was looking good. "Regarding the literature review, there are several articles regarding Seattle's program that can be readily accessed via a Google search. If the City and/or County decide to move forward with a L.E.A.D. program, I would recommend that an implementation team be established, that it review the materials readily available and that it visit Seattle, Santa Fe, and Albany to observe firsthand and learn from the efforts being made in those communities." And the recommendation and detailed strategy for downtown policing and security? He's turned in nothing so far. 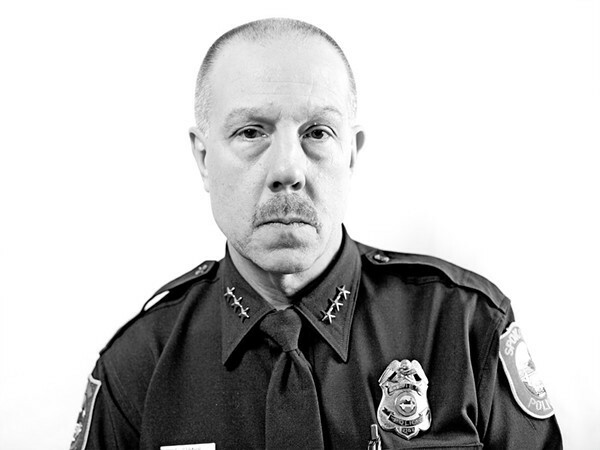 In his memo on community policing, Straub stresses the importance of a two pronged approach. The first must be data-driven and target high frequency offenders and "hot spots." The second must incorporate nontraditional methods like the Youth Police Initiative, Police Youth Athletic League and the Faith and Community Leaders Alliance. "When community members believe they have been treated fairly and with respect, they will grant more legitimacy to the police, and be more likely to engage with them in solving the issues that threaten Spokane's neighborhoods," Straub concluded.